DOWNLOAD THE EXCLUSIVE HAPPY MAN THEME! *Fill with your data and click in "Download". We'll use your email to send you the SUE LA VIE's newsletter. Sue La Vie has passion for love and life, and this is expressed in her happy uplifting deep house, tech house, nu disco and house music She was born in Hungary where she learned how to play the flute, the trombone and the piano at a very early age. Thereafter, she played in an orchestra for 10 years, which enabled her to tour throughout Europe each year . Soon she decided she had to live her own life and started to work for the government, she missed using her creativity, playing music, entertain people and decided to change her whole life. Sue grew up with music and developed a deep love and huge understanding about music and the essential elements and techniques how to transmit the positivity and energy through melodies and rhythms. In 2011 she moved to London and started to study music production at "London AMP" and "London Academy of Sound" . Later that year she landed her residency at "Youbroadcastradio" who supported her from the beginning with her own 2 hours radio show, that residence after she began to collaborate with "Pink Fish Radio". SUE has traveled to different countries like Vietnam, Hungary, Norway, Spain and United Kingdom, where she has been able to prove herself as a DJ in the leading clubs. SUE used to be a London based DJ and played in the best clubs in the city such as: Ministry of Sound, EGG London, The Qube Project (former Pacha) and Lightbox. She shared the DJ booth of these famous clubs with David Morales, Tubo & Berger, Edu Imbernon, Claptone, Prok & Fitch, Noir, Patrick Topping, Nice7, Leftwing y Kody, Tedd Patterson, Hector Couto, Syap, Purple Disco Machine, Kim Ann Foxman, Simian Mobile Disco, Dj SKTand many more. 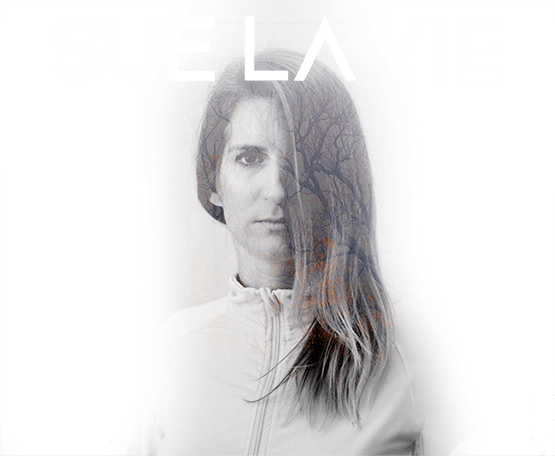 SUE always finds a way to entertain the crowd, keep the balance between melodic deep house, nu disco, groovy tech house twisted with a massive bass-line from the techno-era, which is her own trademark in the "House 4 Life Radio Shows". Her performances in live are also spectacular, full of surprises and very much audience focused, that she regards as a very important factor besides her professional mixing technique and quality music. Right now SUE combines her career as a DJ with music production, relocated to Spain and ready to show to the crowd too what she knows the best, make unforgettable nights on the dancefloor.